Remission ...So Now Radiation, or More Herbs? In case you haven't read about it ...yes, Jaymun is finally considered in remission (a few weeks ago)! 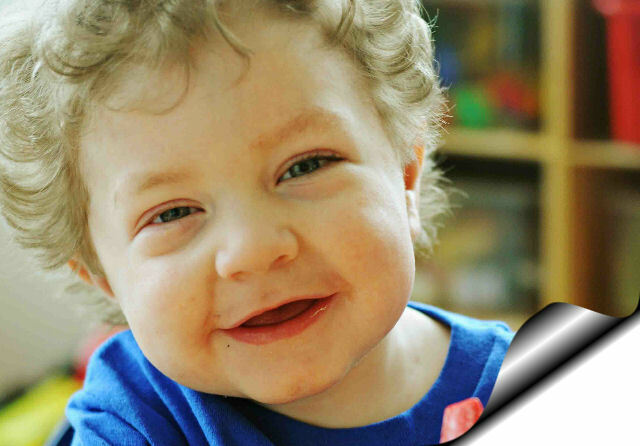 Jaymun's marrow has made substantial recovery, his CSF fluid is finally clear of leukemia, marrow back to 100% Donor. What to do for Jaymun now (besides thank God)? The original plan for Jaymun's AML relapse included CNS radiation and a second bone-marrow transplant. However back last July we decided to skip the 2nd transplant because Jaymun's body was worn out. needless suffering to what everyone thought would be the last weeks of his life. However, praise God, now we are in a completely different situation! Jaymun is almost 40 pounds, healthy, active, playful (see videos), and there is no sign of cancer. What to do now? Go back to the original plan? "Without radiation there is normally a 100% chance of relapse within months to two years". ...yet they readily admit their experience doesn't include the type of things we did for Jaymun. Their experience warns them: "As we wait the tumor burden is quietly recovering and growing". ...during only herbal therapy July-October 2008, the tumor burden dissipated (see herbal dosage log). D) Gaps in Treatment Schedule (counter-productive recovery times that exacerbated ALL THREE of the prior points). ...leveraged bursts of TRAIL production from the immune system, along with interferon, and TNF-Alpha modulation. Rieshi, Cordyceps, Echinacea, Shark Cart., Burdock, Beta Glucans, etc. Cat's Claw, FeverFew, Green Tea, Grape Seed, etc. C) Complacent / Naive Immune System. I think since progressive AML is gradually harder for successive BMT's to treat (eventually blasts skyrocket despite fresh chemo), that shows immunity against cancer has gradually decreased. So I think I know ways to keep the GVL effect alive - and/or restart it if it wears off. Lack of ability to finesse T-cell recovery: Lymphocytes usually recovered slower and T-Cell function was measured by levels of GVHD (graft vs host disease) - something not easily managed even after marrow recovery. No immune modulation directly after chemo (during early recovery): I think the standard plan goes in a bad circle, underutilizing what small immune function remains and dampening the early education (weeks of activity) of a recovering immune system. beta-glucans that prime the immune system, boost mucosal defense, etc. E) Toxicity Without the Effective Repair. This is the heartbreaking part. The more involved in treatment choices the more this weighs on you. Read the difference in my posts from the 2006 liver crisis, and the 2008 marrow / GI crisis. F> Blood-Brain Barrier Approach I think Jaymun's CNS AML hid out not behind the BBB but inside or astride the BBB. I think this, because chemo that almost cleared his CNS still struggled to finish the job, he relapsed in the CNS and also marrow, the intravenous chemo that crossed the BBB helped clear his CNS leukemia faster, etc. So I think that clearing tumor burden from the CNS with intrathecal chemo can give you a false peace. It would be better to do the CNS job (or at least observe the CNS job get finished) with intravenous treatments that cross the blood-brain barrier. By watching the CNS clear without intrathecals - you would be assured you were treating the entire system. However, that is a problem for highly toxic things things like Ara-C because you only have days to get the job done. So to maximize the short treatment time - you end up hitting it from both directions simultaneously. So you clear the outside and the inside - but how do you know if you got the middle? Especially if the CNS treatments overlap by weeks/months? G) No Dietary Anti-Cancer Plan. I could write a month of posts on this point. Suffice it to say that we were at one of the most advanced medical facilities in the country - and their "diet advice" consisted of cafeteria food, intravenous TPN, and formula drip. chopped apples with the peels on) for our existing favorites. The vibrant taste of real food is a good addiction! The things we did for A,B,C, and D - did they work? Did we compensate for apoptosis problems? Did we trigger dendritic differentiation? Did we stimulate the immune system to learn about and target cancer cells? Or have we only helped with step E - did we "merely" help heal his body (for six months) after the last round of chemo, while Jaymun's immune system lurched back into operation for a few months? ...and scheduling CNS radiation like the traditional oncologists would recommend. Was the tumor burden still there? Would it disappear quickly? Or Slowly? Would it hover? I do not think Jaymun will relapse again. sensitize cancer cells to radiation by compensating for "convergance pathway" apoptosis defects, etc. Remind God about Jaymun and other children like him.